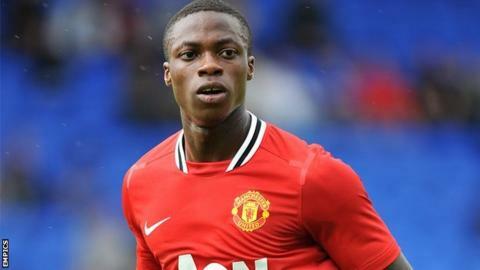 Sheffield United have signed Manchester United striker John Cofie on a season-long loan deal. The 19-year-old spent the second half of last season on loan with Belgian side Royal Antwerp. Cofie joined the Red Devils from Burnley in 2007 aged 14, and becomes the Blades' first summer signing. "They're one of the best teams in this division and I'm here to play well and hopefully help them get promotion," he told BBC Radio Sheffield. "My agent called me a couple of weeks back and told me they were interested in getting me and I jumped at the chance. "I enjoyed myself playing in Belgium last season but I feel like this is a step up."